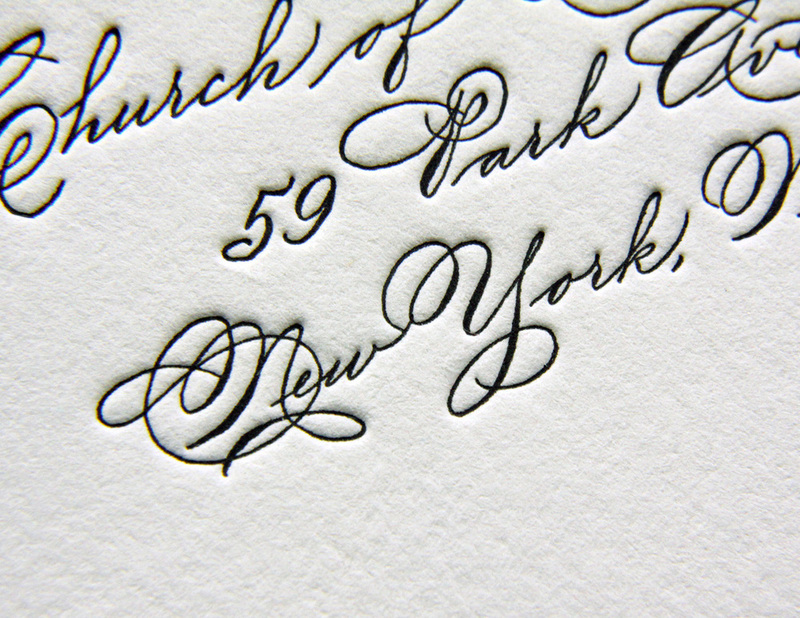 The beauty of a classic, calligraphic invitation puts the emphasis on the writing. 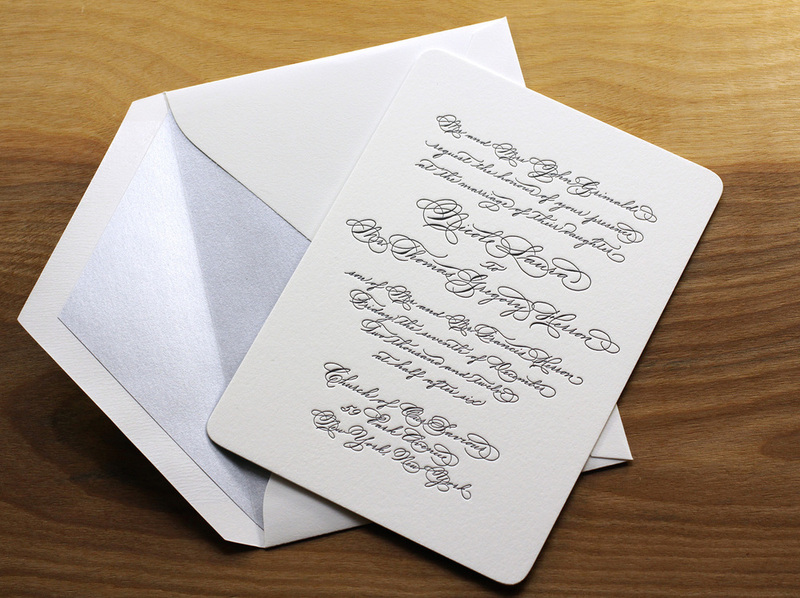 Here, in a invitation based on Quill, with custom calligraphy by Monica Rachel Lima, the swirls and flourishes of the text sets the tone for an elegant and festive occasion. 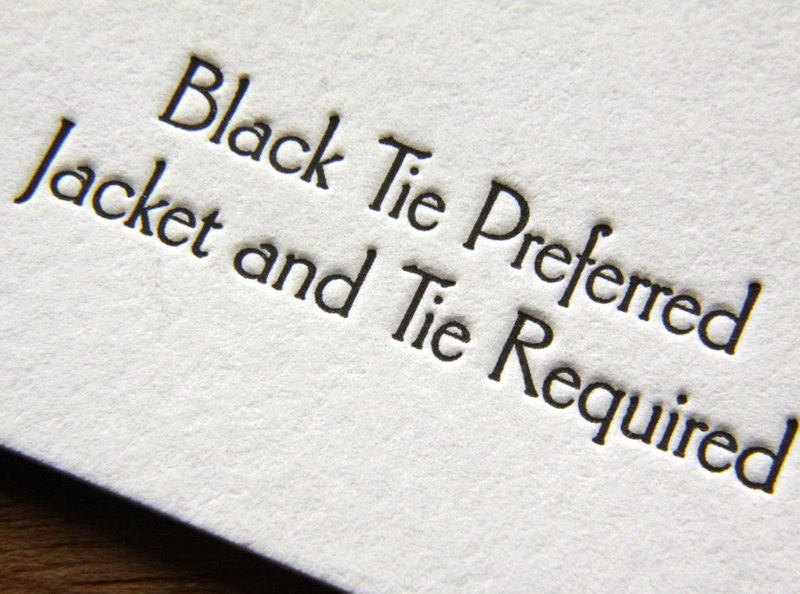 The black ink on thick, pearl white paper stock is set off by a metallic silver envelope liner. The simplicity of the dingbat rule pairs well with dramatic flair of the calligraphic flourishes, and all the rounded corners of all the pieces ties the set together. 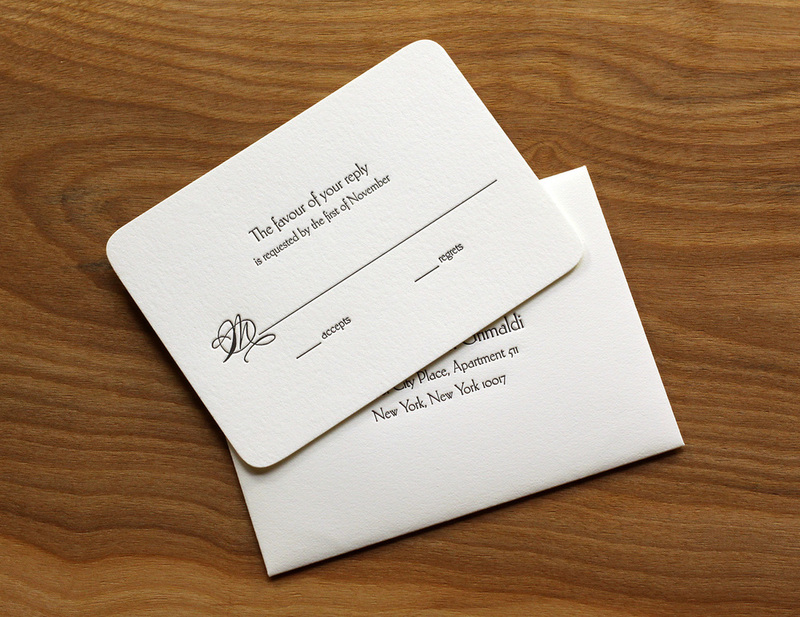 Accompanying reception and RSVP cards are done in a understated serif font with a vintage feel. The two styles coordinate to set the tone for a formal wedding in New York City. Posted in wedding invitations and tagged with pearl white, 600g, 300g, custom calligraphy, rounded corners, black, envelope liner, quill. December 11, 2013 by Sarah Arneson.